Today's beer is one that is making a very rare Australian appearance. Bach Brewing from New Zealand have a really interesting story. 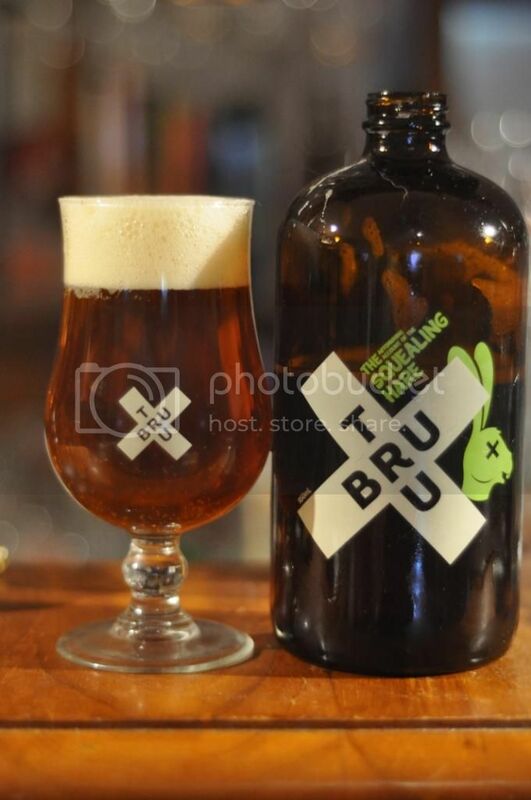 The owner used to own Limburg Brewery, which closed in 2008, he retained the rights to recipes and relaunched in 2013 as Bach. Hopsmacker is a reinvention of Limburg Hopsmacker - a previous Brew NZ Pale Ale champion. Witch's Brew (2014) was a pretty simple badge to get. 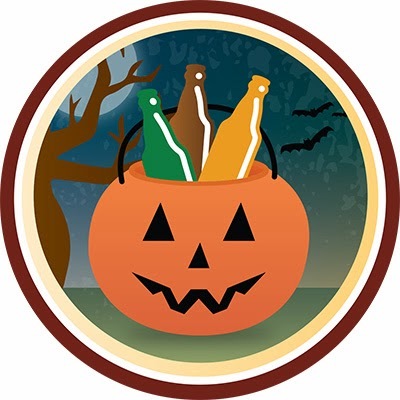 All you had to do was check-in a beer around Halloween (between 31st October and November 2nd). A Friday night trip to Tru Bru sorted out which beer would earn this badge. With a great pedigree and story behind it I'm really looking forward to this beer; let's get into it. The body of this beer pours an almost brown/amber colour. It's quite an unusual colour for the style but it is quite intriguing. The head is maybe 2-3 fingers of slightly off white head. The head is quite aerated with many small bubbles in it right from the get go. There are a number of bubbles rising to the head however which does help provide some retention. From the nose I get the impression that this is quite a well balanced pale ale. There quite a bit of malt initially with some unusual herbal characteristics. It's after this that the hops begin to kick in and they are big, bitter and fruity. Bach's Hopsmacker was everything the nose indicated it would be. There was only a little caramel malt up front before the fruit and slightly piney hops quicked in. The beer was quite bitter and as the beer warmed more and more citrus characteristics began to come out. All in all I thought this was another really nice New Zealand Pale Ale. The story behind the beer is one of the best rising from the ashes ones that I've heard in a while and the beer really lives up to it. Hopefully a few more offerings from these guys make it this side of the Tasman, I'd be really interested to try them. Give it a go if you come across it.